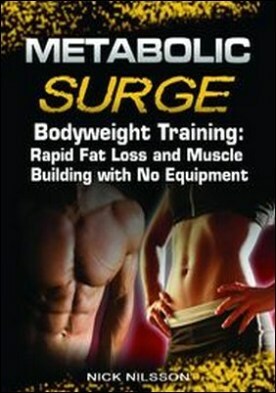 Metabolic Surge Bodyweight Training is for anyone looking for an intense workout that can be done with little or no equipment. With this book you’ll be focusing on exercises that utilize your bodyweight and simple equipment found in your home, such as chairs and broomsticks. It’s an extraordinarily powerful and highly-targeted program of diet and exercise designed to accomplish two things: 1.) Strip away body fat as quickly as possible. 2.) Retain and build muscle mass. This unique and groundbreaking fat-loss program uses your own body fat to provide energy for building muscle, practically doubling the speed of fat loss. Every part of the program builds on the next to make the whole program far greater than the sum of the parts.